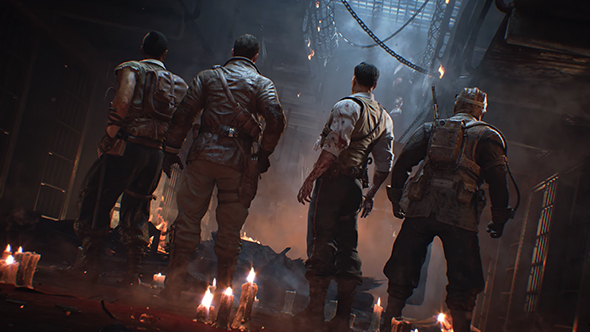 Call of Duty: Black Ops 4 will bring a new zombies storyline, separate from the existing plot with a new batch of characters. Treyarch plan for the mode to be more replayable than ever before, with ways to keep you playing for days, weeks, and months at a time. The new zombies mode will feature limited time challenges called Callings, as well as customizable mutations with over 100 options to alter the capabilities of both players and the zombie enemies. Naturally, you’ll also have difficulty options to provide appropriate challenges at whatever level you want to play. The mode will support bots for solo players looking to see the story on their own. These are the best FPS games on PC. The zombies mode will launch with three maps on day one, and we’ve got lengthy trailers detailing them. IX sees our heroes get transported to an ancient arena to engage in gladiatorial combat. Voyage of Despair puts the action aboard a familiar luxury cruise liner, though this Titanic faces bigger problems than an iceberg. Mob of the Dead will also make a return in remastered form, this time under the title Blood of the Dead, offering a new perspective on the old favourite. Black Ops 4 will also introduce a battle royale mode called Blackout, in addition to its multiplayer features – but there’s no single-player option, beyond the ability to play zombies with bots. The game will launch on October 12.